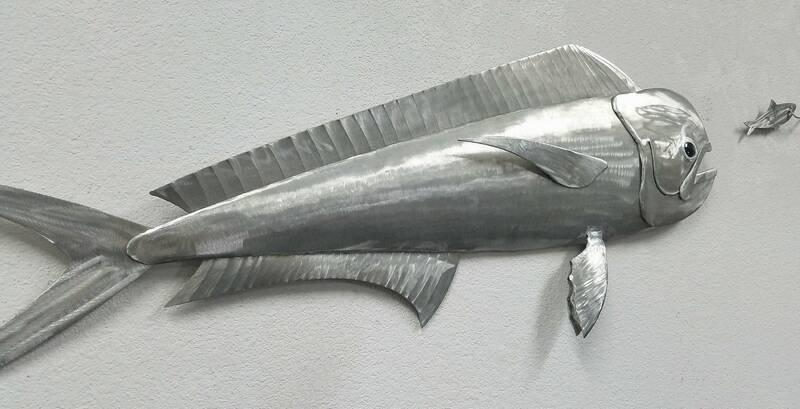 This fantastic mahi mahi metal wall art is a one of a kind piece. 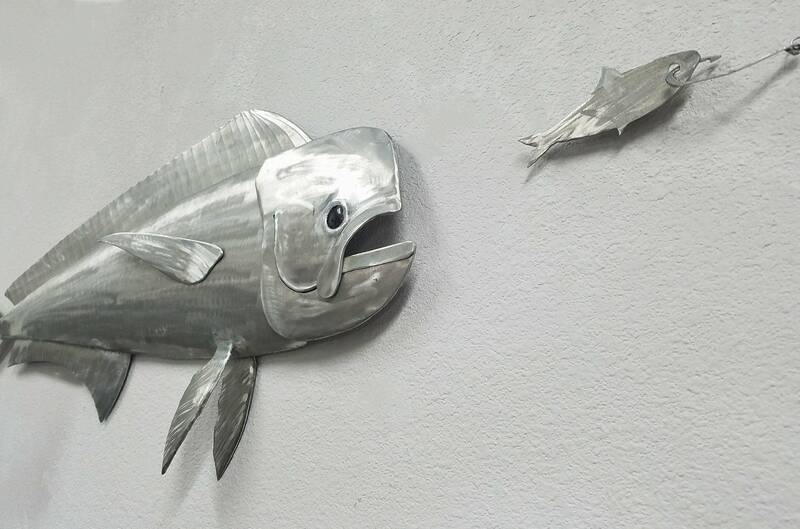 Made from aluminum, this metal fish begins as several flat pieces of aluminum. Each piece is separately ground, hammered, and bead rolled. 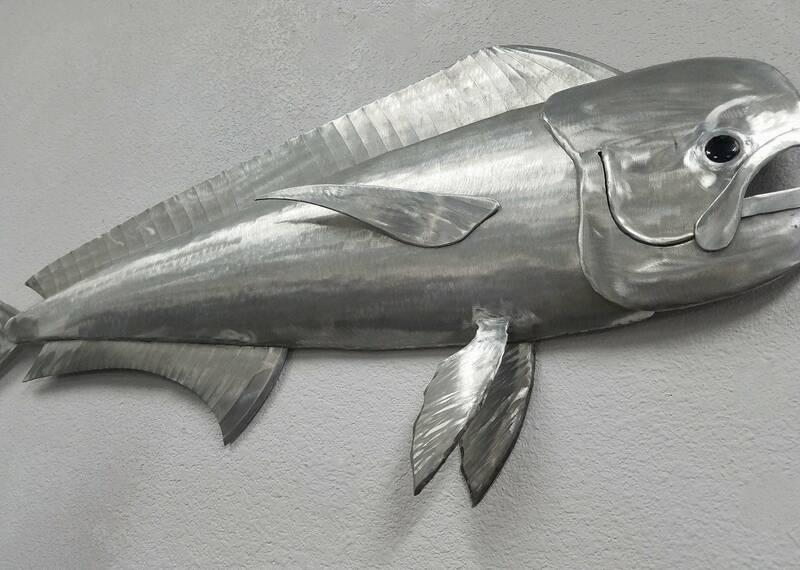 Then, each of the pieces are welded together and ground by hand. 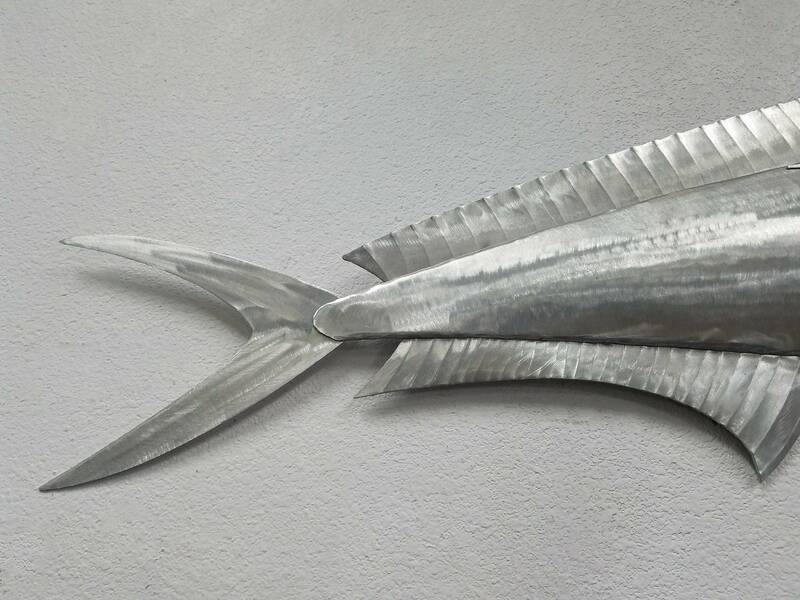 Chasing a whimsical bait fish on a line, this piece is sure to be a talking point wherever it is hung. 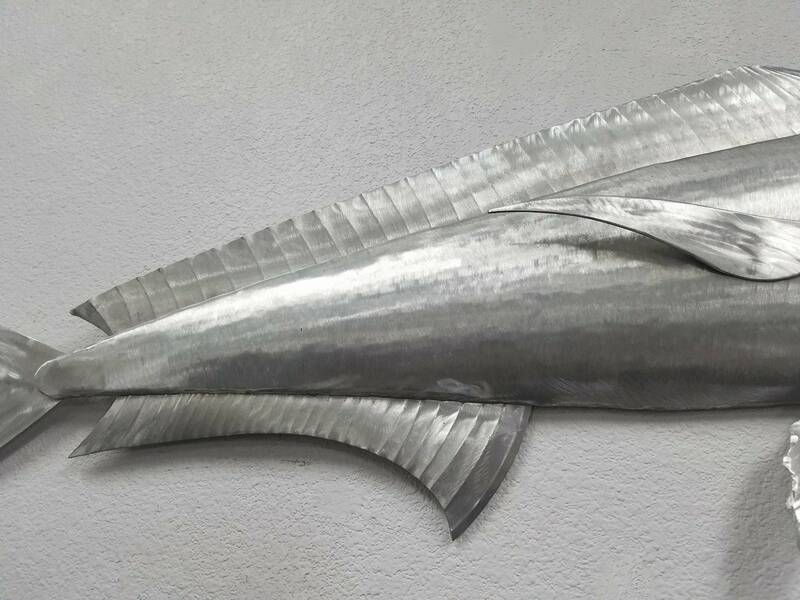 This piece is approximately 33" wide by 12" tall. Since each of our pieces are truly made by hand, no two will be exactly the same. 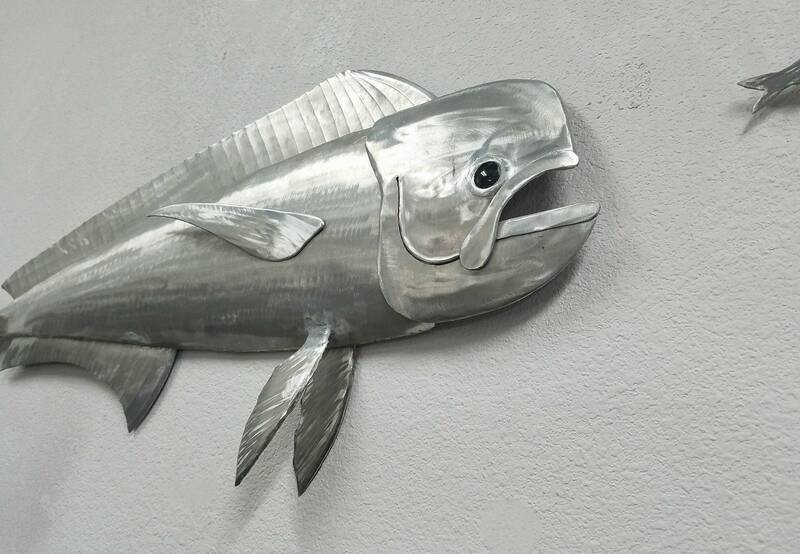 If you have custom requests that must be met, please message us prior to purchasing. Custom sizes can also be made, just send us a message.